Skype is largely popular as a video calling app, even though it is a full-blown communications suite. Since it also has a professional version for workplace connectivity, called Skype for Business (formerly Lync), it is usually a step ahead of the competitors in terms of features. 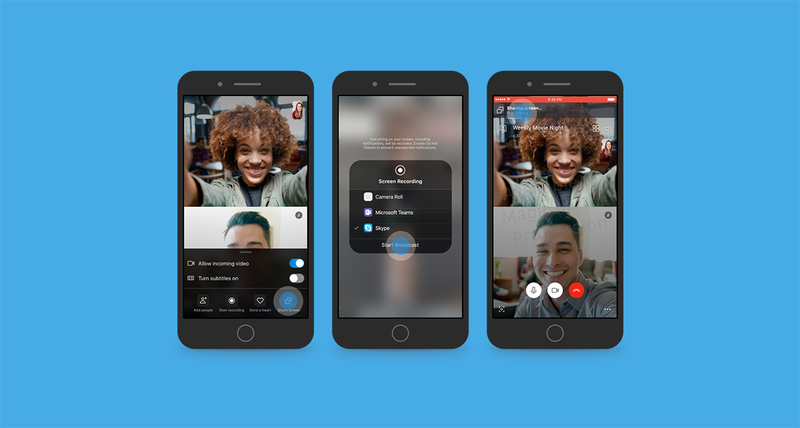 Now, after getting features like background blurring and a web-based video calling client, Skype is getting the ability to allow users share their screen with contacts remotely – and this includes support for not just desktops but also Android and iOS devices. Microsoft says that the feature will help users collaborate on PowerPoint presentations with colleagues, use the wise counsel of a good friend before swiping left or right on Tinder, or just go shopping online with friends. The screenshots shared by Microsoft note that everything being displayed on your screen, including existing and newly incoming notifications, will be shared with others while using the screen sharing feature. The feature will be available on the consumer as well as the business versions of Skype. With this addition, Skype not only outpaces competitors in the consumer space – such as Facebook Messenger, WhatsApp, Instagram etc., but also catches up with business-grade solutions like Slack (paid versions) or Zoom. Right now, the feature is limited to the members of the Skype Insider (beta tester) Program and to join the test ring, you can download the latest Insider version of Skype via this link. The feature is definitely promising and very useful so we can expect it to see it on the stable version soon. Meanwhile, another feature that was recently upgraded from Skype Preview to the stable version allows up to 50 people participating in a video call at once. This was earlier limited to 25 users per call. Considering that this feature moved from beta to the stable build in just a month, we can hope screen-sharing goes live in a similar duration as well.